The Tschuggen Grand hotel is known for its 5,000-squaremeter Mario Botta– designed spa. Founded in the early 20th century, the Tschuggen Grand Hotel today is known for its ultramodern Mario Botta–designed Tschuggen Bergoase spa. The 5,000-square-meter, four-floor complex is built directly into the mountain (28,000 meters of gravel were removed for its construction) and connected to the hotel by a glass walkway. Another star designer, Carlo Rampazzi, conceived the vivid interiors, notable for their spectacular mix of color, texture and pattern. The Graubünden landscape provides its own magical scenery, and at 1,800 meters above sea level, the hotel is an ideal base from which to enjoy outdoor activates from Alpine and cross-country skiing and horse races on a frozen lake, to hot-air ballooning and delta gliding. Restaurant La Vetta, awarded with 1-Michelin Star and 16-Gault Millau points, serves a delightful and artistic Mediterranean cuisine. 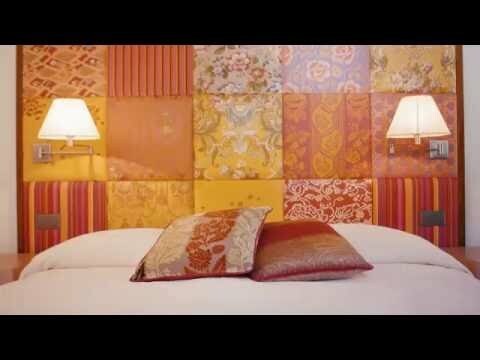 The hotel, located in the center of the Graubünden mountains, is proud of the enchanting and colorful décor and design from famous architect Carlo Rampazzi. Designed by Mario Botta, this facility is one the most spectacular in Switzerland. It offers in and outdoor pools, eleven treatment rooms, a fitness room, and saunas.